This nursing home wrongful death claim was filed in Montgomery County after a woman broke an arm and a leg during two separate incidences at Sunrise Senior Living. It was filed in Health Claims Arbitration on February 26, 2018, and it is the 97th medical malpractice case filed in Maryland this year. A woman was residing in the dementia ward at Sunrise Senior Living of Rockville. Another resident who lived down the hall from the woman would habitually walk into the woman's room, mistaking it for his own. Because the man barged into the woman's room so often, the Sunrise staff installed an automatic lock on the woman's door. With the lock in place, the man was not able to open the door, but he would loudly and forcefully attempt to open the door. One day when the man was continuously trying to open the woman's door, he made such a commotion that the woman went to unlock it. The woman answered the door but did not want to let the man into her room. The man forced his way into her room anyway, knocking her to the ground and breaking her left arm in the process. In addition to the broken arm, the woman suffered a broken leg as a result of the nursing home's negligence. The woman was already legally blind and required the use of a walker, and her broken arm diminished her ability to walk safely while gripping the support rails on her walker. It did not seem as though the nursing home staff made an attempt to determine how the woman's injuries changed her physical ability, and yet she was given authorization to board a bus and attend a tour of the cherry blossoms in Washington D.C. The woman was not provided with adequate assistance, fell while attempting to exit the bus, and broke her leg. After the two incidences of injury, the woman's health and quality of life declined until her untimely death. One big issue is whether the nursing home had a reason to believe the man was violent. The complaint says that the lock was installed because he mistakenly would enter his room. But an assault if a very different class of harm. If a resident assaults another resident, the standard of care requires immediate separation from him/her and other residents. A doctor should be notified, the nursing home should provide one-on-one supervision, and state authorities should be notified. The damages in this case will need to be well-articulated. It is tough when the victim dies from unrelated causes. It is harder to put on damage testimony and an Estate is less sympathetic then the victim herself. A bigger problem in our nursing home that no one really talks about is residents sexually abusing other residents. Patients with physical and mental limitations are particularly vulnerable. Sunrise Senior Living Management, Inc. Failing to protect the woman from a confused resident. Failing to advise the woman's family about the extent of the problem. Failing to perform a thorough physical evaluation. Failing to properly assess whether the woman was able to mount and dismount the steps of a bus. Failing to re-assess the woman's physical and ambulatory capabilities after she sustained injuries. Failing to monitor and care for the woman while she was exiting the bus. As a direct result of the defendants' negligence, the woman suffered pain, permanent injury, and a severe loss of mobility up until her untimely death. Have you suffered a hospital injury due to the negligence of a doctor? Miller & Zois can help you. Call us at 800-553-8082 and speak to one of our medical malpractice attorneys who can help you or get an online case review. View sample verdicts and settlements from Montgomery County. Read about Sunrise Senior Living lawsuits. 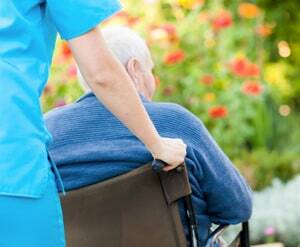 Learn more about nursing home abuse and nursing home fall lawsuits.